Headliners for this year’s Detroit Jazz Festival, over Labor Day weekend, in Detroit’s Hart Park: Sonny Rollins, Wynton Marsalis Quintet, Pat Metheny Unity Band, Chick Corea and Gray Burton, Wayne Shorter Quartet, Joe Lovano, Art Blakey Tribute with Terence Blanchard, Lew Tabackin Quartet featuring Randy Brecker, Charles McPherson/Tom Harrell Quintet, Donald Harrison Quintet, Preservation Hall Jazz Band, Pancho Sanchez, Artuto O’Farrill Septet with Donald Harrison, Ellery Eskelin Trio, Kenny Garret Quartet, Louis Hayes Quaret. Headliners for this year’s Rhythm and Ribs Jazz and Blues Festival, on October 13 in the 18th and Vine district: Arturo Sandoval, Joe Louis Walker, Angie Stone. This year we’ll see the third downsized festival since Rhythm and Ribs’s resurrection. And let’s recognize that last year, organizers staged an extraordinarily professional event. They expertly managed virtually every detail, from the staging of the music right down to the signage. It was marketed strongly. The vendors with whom I spoke were thrilled. I estimated crowd size at around 7000 for the day (as far as I know, no official numbers were announced), and most of them appeared thrilled, too. The American Jazz Museum’s 2011 audit report, available on the Greater Kansas City Community Foundation website (download PDF here) covers the first revived festival, in 2010. Without breaking out details, it notes that 2010 was the first Rhythm and Ribs Festival ever to turn a profit. It seems reasonable to assume last year’s did, too. Museum officials two years back spoke of the 2010 event as a fresh start. After a year’s absence, in 2010 Rhythm and Ribs was back. It was downsized, out of Parade Park, into a more confined (and, presumably, more affordable) space between the American Jazz Museum and the Gregg Community Center, and with a more limited line-up. But that was just the start, officials said. The festival would grow from there. Two years later, the festival shows no aspirations of growing. The space is good, the right fit for the crowd the festival currently attracts. But festival talent seems settled in a pattern of one good but not particularly major jazz headliner, one blues headliner, and one headliner with crossover appeal who presumably will be the one to draw a crowd. That’s a pattern to bring about 7000 people into 18th and Vine for a day. That’s a pattern to maintain a day of profit and high profile for the American Jazz Museum. Both are solid goals. But that’s a pattern, not a start. It’s not a pattern showing any confidence in jazz. It’s not a pattern showing any aspiration of building into a significant jazz festival. And it’s largely not the American Jazz Museum’s fault. 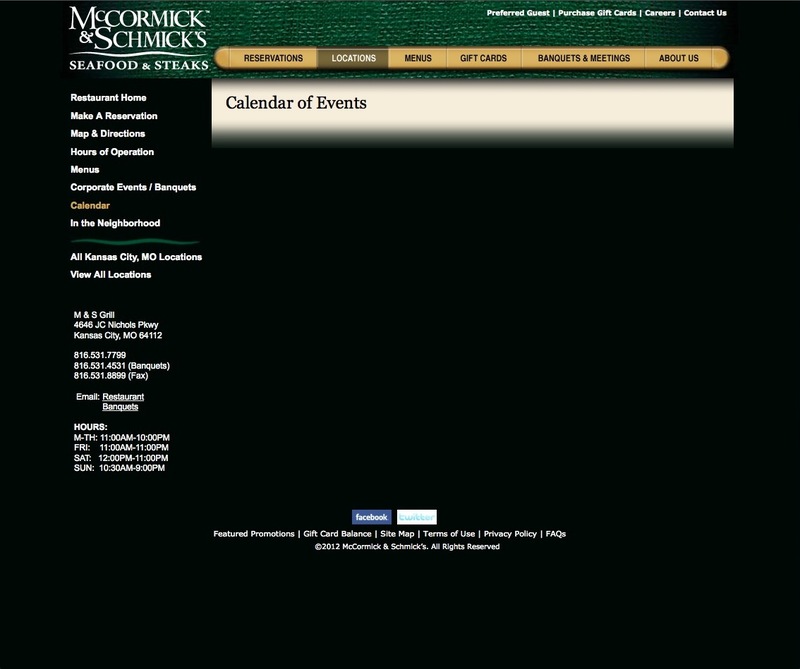 Look at the Detroit Jazz Festival’s web site (here). Look at its history. That festival started in 1980 and received an endowment of ten million dollars in 2006. That’s why it can afford Rollins and Marsalis and Metheny and dozens more in 2012. The Kansas City Jazz Festival in the 1980s grew not from a bunch of jazz fans, but from a civic organization of young professionals, with strong connections to Kansas City’s business and philanthropic communities, looking to make a contribution to the city. That’s the support a jazz festival needs to grow beyond a well organized annual fundraiser. Lacking a ten million dollar benefactor, it requires the resources and stature which follow the civic community stepping forward and saying Kansas City needs and deserves something better. I wrote after last year’s festival that it appeared the civic community had coalesced behind Rhythm and Ribs as Kansas City’s annual jazz event. Now, I’m dubious. Rather, some businesses are contributing to a fundraising day for the Jazz Museum in the guise of a festival. Every one of us should support that. But in its third year, Rhythm and Ribs appears to have settled into a comfort zone, and that zone includes no apparent aspirations to be anything more than a profitable day with a jazz guy, a blues guy and someone who will draw a bigger crowd than either the jazz guy or blues guy will draw. Unquestionably, this city will support a major jazz event. The Kansas City Jazz Festival of the 1980s attracted tens of thousands of people over a weekend. It can happen again. But it requires more than jazz fans. It requires an organization with strong business ties. Or maybe there’s another answer. Maybe an organization can build a jazz festival in Kansas City with the support of a company looking to bring its brand into this market with a major new venture, looking to garner civic support and acclaim, which can be sold on the benefit of attaching itself to a major community celebration. 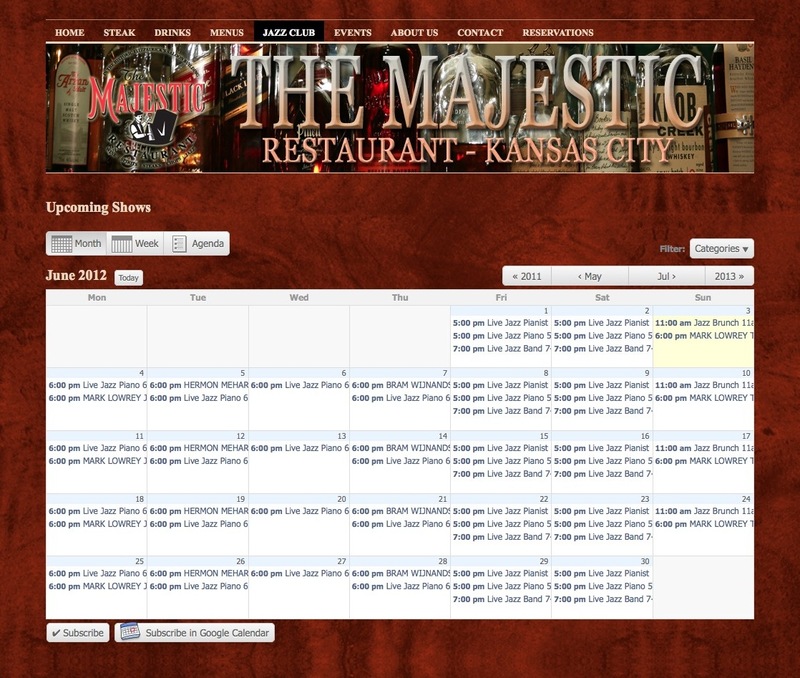 The Kansas City Google Jazz Festival, anyone? It had been there several times last year, its wings wrapped tight behind its back so nobody would recognize it. It wanted to be discreet, to enjoy jazz on the outdoor patio, nestled in The Plaza, and a drink on a warm summer evening. Last summer the same singer and pianist played the patio each Wednesday evening, sometimes with guests. They promoted the shows on their Facebook pages, through some tweets, with occasional emails. Crowds filled the deck. 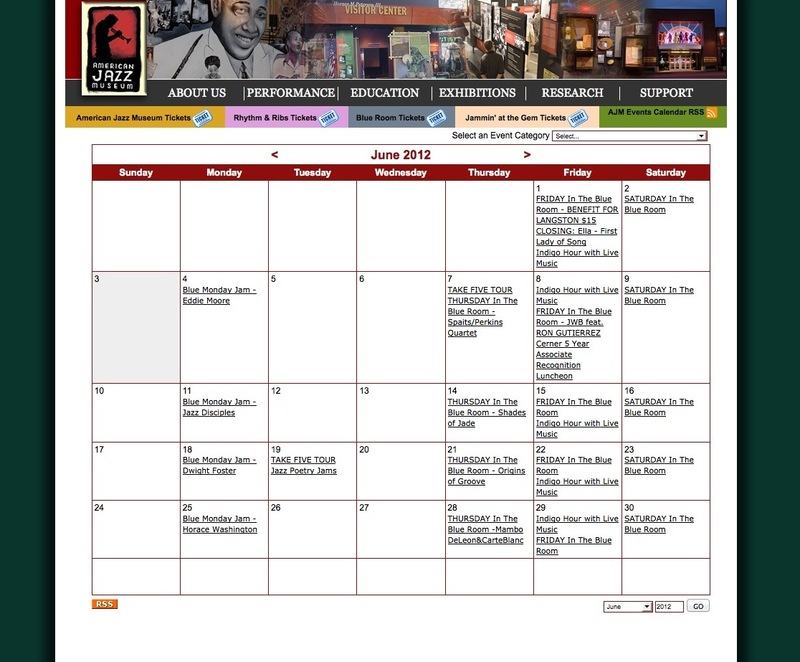 This year the restaurant has chosen to feature different jazz artists each week. The pianist and singer opened the season. The mystical being saw that on the pianist’s Facebook page. And a trumpeter would be playing later this month. That was in the trumpeter’s email newsletter. But who else would be there each week? The Magic Jazz Fairy needed to know, so it could spread the word. Because, as we’ve established in previous posts, every city has a Magic Jazz Fairy who flies through town at night and whispers in the ears of sleeping jazz fans when and where to find the music, so we wake up knowing, just knowing. That must be the way jazz promotion works because, of course, small crowds couldn’t possibly be the fault of savvy restaurants and bars for not telling anyone they booked jazz. But before it can spread the word to all of us sleeping jazz fans, the Magic Jazz Fairy needs to know the schedule. Surely this restaurant, with the outdoor patio nestled in The Plaza, this major restaurant, part of a nationwide chain, renowned for exquisite seafood, surely this restaurant has properly promoted their weekly jazz happy hour. What? A blank screen? A page filled with black? It clicked back, then clicked the Calendar tab again. Again, a page of black. How could that be, the Magic Jazz Fairy sputtered. 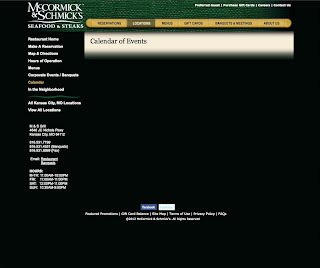 How could the national restaurant with the patio nestled in The Plaza and exquisite seafood, how could that restaurant be promoting its weekly jazz event with a blank, black page? The Magic Jazz Fairy looked. The calendar said, Live Jazz Band. Okay, I know that, the Fairy thought, but which jazz band? Who? The mystical being clicked a link. A window popped up which told him that playing at the downtown restaurant with exquisite steaks this Friday was...a live jazz band. It clicked Saturday’s link. Playing that night would be...a live jazz band. It triumphantly turned to its computer and announced that there this Saturday night was...Saturday In The Blue Room. The Fairy looked again. 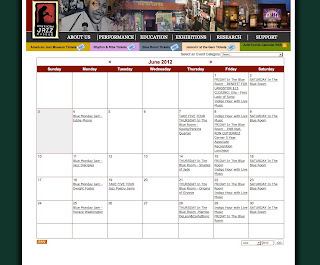 The jazz club’s calendar described nothing more. It didn’t for half the month. Anger welled. Ever since a major jazz club closed last year, the music has been more difficult to find. It’s been up to the musicians, through Facebook posts and emails and whatever other communications they could muster with no budget or time, to tell fans where to find them. But too many post the day of the event, I’m here tonight. That’s not good enough. That doesn’t allow for planning. Besides, it forces Kansas City jazz fans to subscribe to the email or the tweets or the Facebook page of every musician they know to have any inkling of where to find them playing jazz. Red glazed the Fairy’s eyes. It pounded its mystical fist on its desk once, twice. Besides, it maintained, the restaurant or club stands to gain the most through promotion, through more jazz fans showing up and buying food and drinks. It’s not unreasonable to expect a musician to announce a gig on Facebook. But marketing and promotion are responsibilities which lie heaviest on who gains most. Is it too much to expect more than a nebulous listing? Or a black page? “Knock, knock” cried the furious being, its wings flapping wildly. “Who’s there?” answered a feeble voice in its head. “The Magic Jazz Fairy!" it cried out, its feet off the ground. “The Magic Jazz Fairy who?” queried the voice. “The Magic Jazz Fairy who wants to poke your eyes out for promoting a fun weekly jazz event with a blank page!” the Magic Jazz Fairy screamed. Enraged, the mystical being flew out a window. It needed a drink. Or to poke somebody’s eyes out. Euphemistically, of course.